Thicker than the regular Controlled Sound, the Remo Controlled Sound X has extra warmth and focus (especially for midrange tones), and more durability. 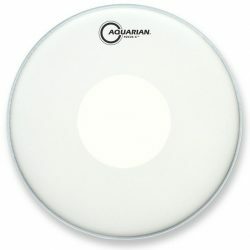 These drumheads are great for snare drums and toms, when durability and responsiveness are needed. 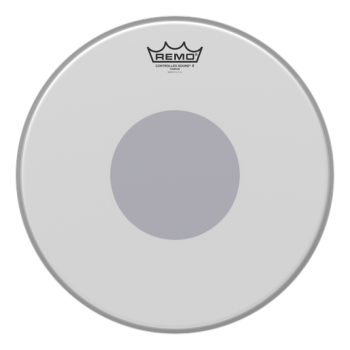 The Remo Controlled Sound X is made with a single ply of coated 12mil film, plus a 5mil bottom control dot. 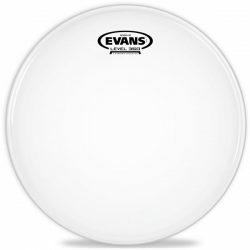 This drumheads is slightly thicker than the regular Controlled Sound range, giving a warmer sound, with good projection and more durability. The sound is focused by the control dot, allowing for sustain but stopping overtones from ringing out of control when hit in the center. 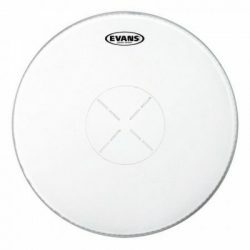 When hit around the edge, this drumhead still gives some good character and extra overtones. 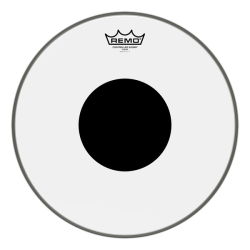 The thicker ply of the Controlled Sound X, combined with the control dot, means that this drumhead can handle heavier hitting. The coating and thicker ply also help boost the midrange frequencies, giving a slightly deeper and warmer sound. Tuned tight on a snare drum, this drumhead can give a big crack. On toms, or tuned lower on snares, there is a nice warmth and moderate sustain. The Controlled Sound X performs well at medium to higher volumes. For very high volume situations, use drum microphones to ensure the warmer sound doesn’t get lost in the mix. 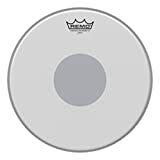 Tip: For a more open single ply drumhead that is still quite durable, try the Remo Ambassador X, or its thicker brother, the Ambassador X14. Remo Controlled Sound X drumheads are only available coated. 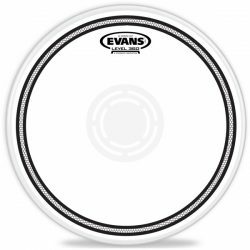 For snare drums and toms, with an 18″ bass drum version also available.